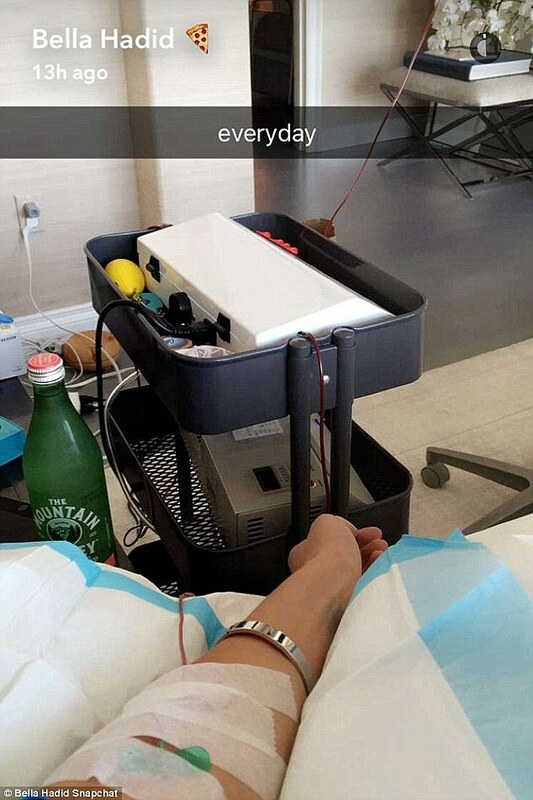 Bella Hadid shared an image of herself in bed with an IV hooked to her arm on Wednesday. The 19-year-old uploaded a Snapchat post showing an IV tethered to her arm as she took a break from her busy modelling career. Perhaps the 19-year-old model was treating her Lyme Disease, an illness she shares with her mother Yolanda Hadid and her brother Anwar Hadid. Her Snapchat image was speckled with two emojis: one of a thermometer, another of a cat drooling and staying asleep as an alarm clock blares nearby. Though she and her younger brother were diagnosed in 2012, the fact they had the disease only came to light last October, when their mother made the revelation at the first Global Lyme Alliance Gala in New York City. Accepting the Power Of One award, the 52-year-old confided that 'watching my babies struggle in silence in order to support me in my journey, struck the deepest core of hopelessness inside of me,' People reported. 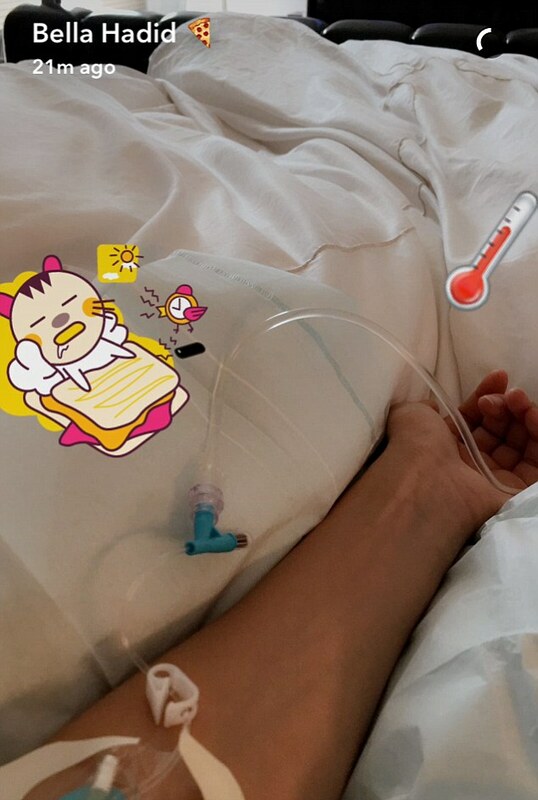 An Instagram photo she posted this January showed her in bed with her second daughter, who once again had an IV at her arm. Her daughter's treatment on Wednesday accompanied some rather better news. The Hugo Boss Model Of The Year 2016 winner revealed via Instagram that she'd become the 119th person to pose in fashion photographer Mario Testino's iconic Towel Series. Her photo showed her crossing her showstopping legs from under a towelled robe that fell off the shoulder and bared a hint of cleavage. Testino's towel models include his newest model's sister Gigi Hadid, as well as such figures as Naomi Campbell, Kate Upton, Britney Spears and his 2013 original, Kate Moss.